On Tuesday, it was published the new results of NASA’s OSIRIS-REx spacecraft at the asteroid Bennu which had been traveling more than 2 million kilometers through outer space approximately 27 months. The surveys were published in seven papers that appeared in Nature and a handful of its research journals. Generally, the Bennu asteroid is very dark, but it has some distinctly brighter areas. 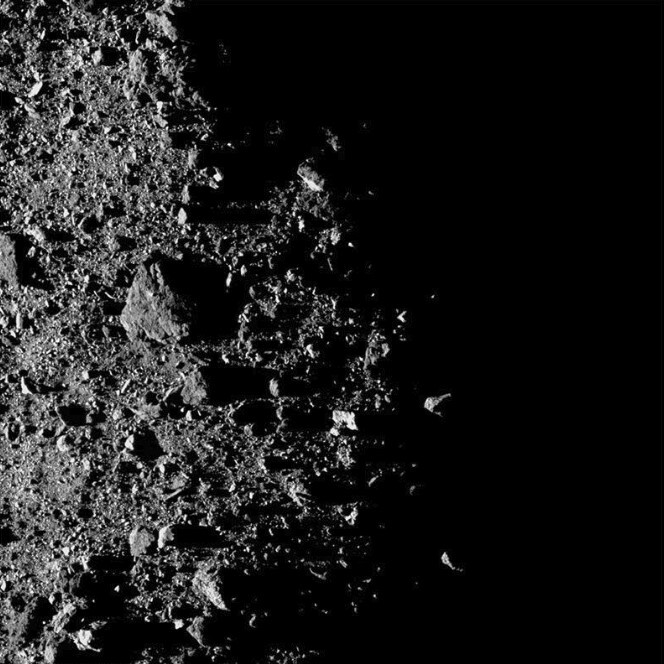 Below this image of the asteroid Bennu’s northern hemisphere shows it covers with rocks. “It’s a little more of a rugged environment than we had designed to,” says Dante Lauretta, a planetary scientist at the University of Arizona in Tucson and the mission’s principal investigator. “That definitely caught us by surprise,” he says. Lauretta and several other team members described the latest findings at the Lunar and Planetary Science Conference in The Woodlands, Texas, today. Some information about Bennu asteroids! 101955 Bennu is a carbonaceous asteroid in the Apollo group discovered by the LINEAR Project on 11 September 1999. It is a potentially hazardous object that is listed on the Sentry Risk Table with the second-highest cumulative rating on the Palermo Technical Impact Hazard Scale. It is named after the Bennu, the ancient Egyptian mythological bird associated with the Sun, creation, and rebirth. Bennu was discovered on 11 September 1999 during a Near-Earth asteroid survey by the Lincoln Near-Earth Asteroid. It as a roughly spheroidal shape, resembling a spinning top. The direction of rotation about its axis is retrograde with respect to its orbit. As we have mentioned above Bennu is the target of the OSIRIS-REx mission which is intended to return samples to Earth in 2023 for further study. Scientists identify that the density of the asteroid is about 1,190kg per cubic meter. To imagine more about the density let’s bring an example – a potato has a density of about 700kg per cubic meter, and dry gravel about 1,500kg per cubic meter. 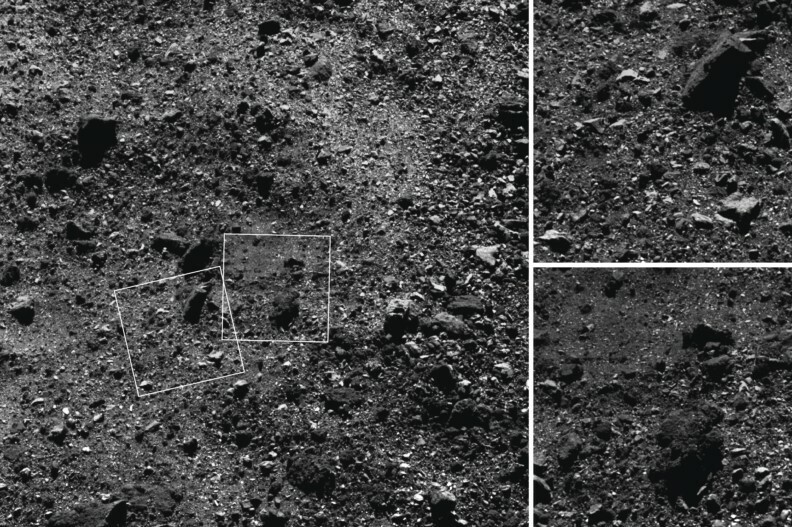 “As the OSIRIS-REx mission collects more data, we will be able to better define the relationship between thermal inertia, regolith and boulder distribution, guiding sample-site selection and future astronomical studies of asteroids,” the lead study, published in Nature, states. We have some other articles of asteroids which you can look though just visiting here.